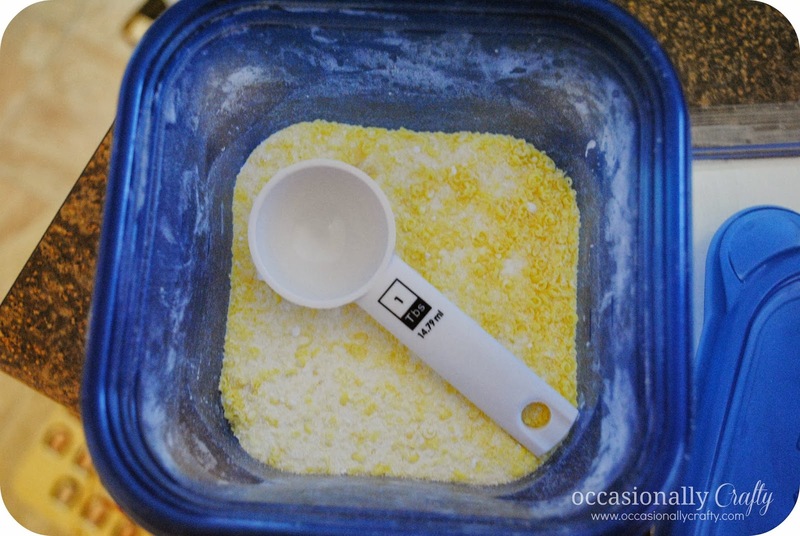 Making My Own Laundry Detergent- Part Two! | Occasionally Crafty: Making My Own Laundry Detergent- Part Two! Making My Own Laundry Detergent- Part Two! Remember when I made my own laundry detergent? We have loved the results and still have not had to remake any detergent. Folks, I made that first batch of soap in January! It's October and I still have quite a bit left. But you're probably wondering why I'm posting about laundry detergent again. Well, as military life goes, my hubby is leaving for an extended period of time and will find himself living the bachelor life, which includes doing his own laundry. (Don't get me wrong, he knows how, I just get it done while he's at work) We thought about just buying some Tide pods and calling it a day, but then I saw how expensive they were. He likes our homemade stuff, but didn't want to travel with the liquid detergent. Solution! Make him the dry detergent and send him on his way! 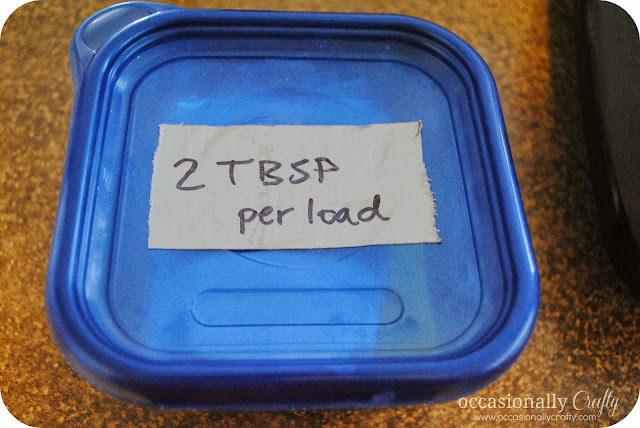 ...And use 2 TBSP per load. 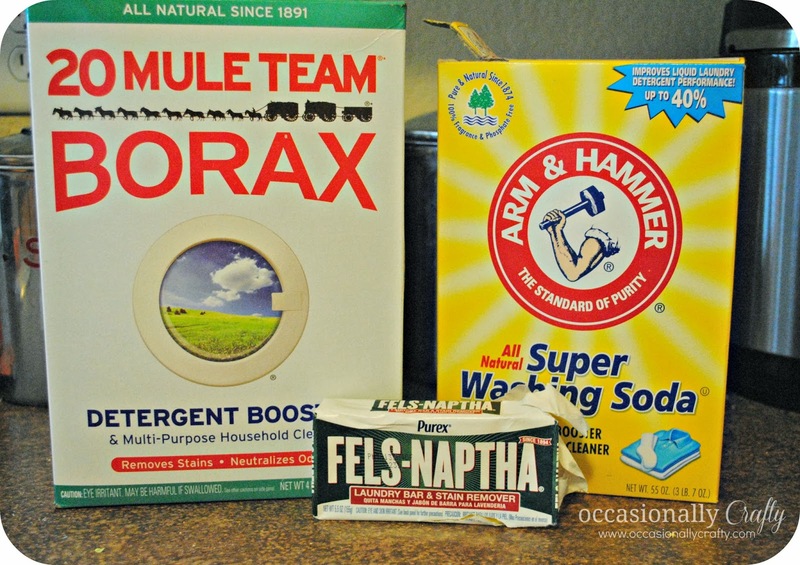 For full details on how to make dry or liquid detergent, click here!